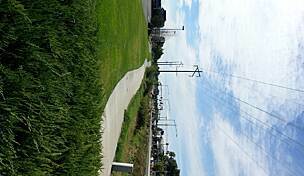 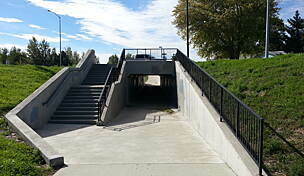 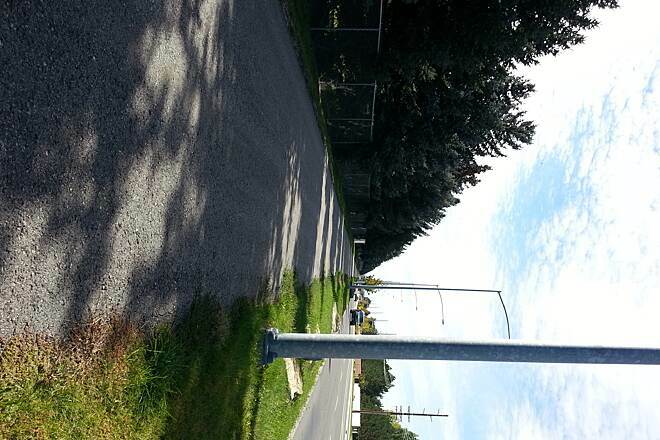 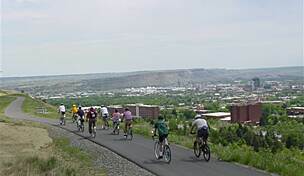 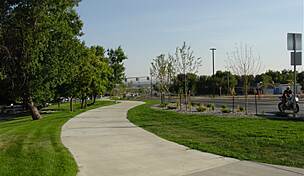 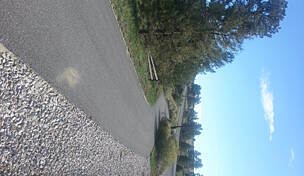 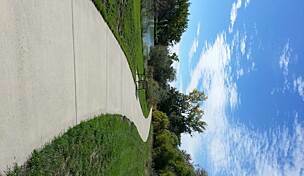 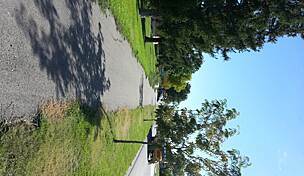 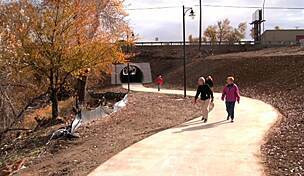 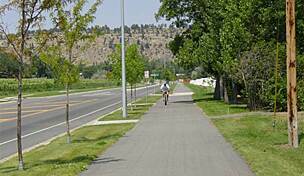 Trail end points: 32nd St. W. and King Ave. W. and 44th St. W. and King Ave. W.
The King Avenue West Trail offers a paved east-west route through southwestern Billings with access to Shiloh Crossing, one of the city's most popular commercial subdivisions. 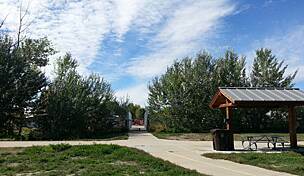 Additional shopping and eating outlets can be found on the trail's eastern end. 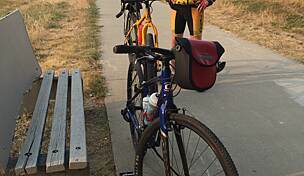 If you need to go north or south, you can hop on the Shiloh Road Trail mid-way. 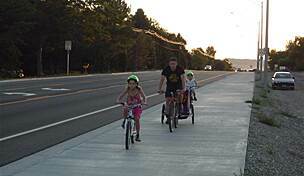 Parking is available on side streets and at Shiloh Crossing (off King Avenue West and Shiloh Road).